AREU published its first report in December 2001: a review of the Strategic Framework for Afghanistan, (a pre-9/11 blueprint for the international community’s engagement with the country). As AREU expanded to become an influential research organisation with over one hundred staff, so to did the scope and depth of its research. Often lasting several years, our studies have helped highlight the realities of Afghan lives, understand the local bases of deep-rooted institutional practices, and assess the impact of development strategies, structures and programmes. 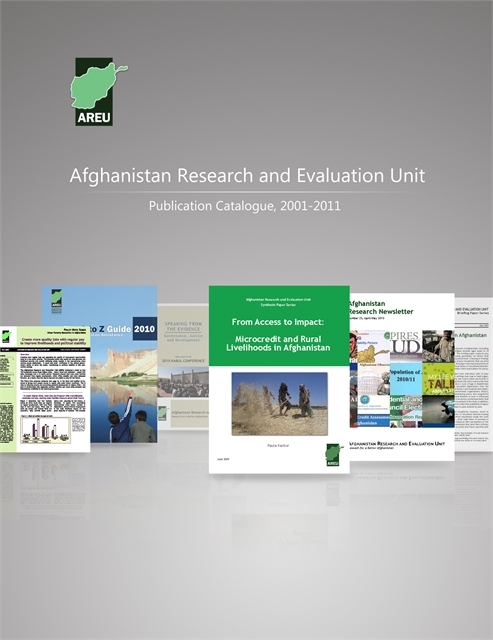 Almost a decade on, AREU remains committed to conducting high-quality research that aims to inform policy and practice in Afghanistan, with the ultimate goal of improving the lives of its citizens. As we continue to move forward, this catalogue offers a testament to all that AREU has achieved to date. 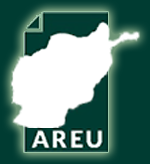 The document provides summaries of each of AREU’s 250 plus publications, along with live links to their English, Dari and Pashto versions on our website. In grouping publications both chronologically and by research topic, it provides a snapshot of how different threads of research have developed over time and how they relate to each other. We hope this will offer a helpful new resource to researchers, decision-makers, and anybody with an interest in how the situation in Afghanistan has developed over the course of the past decade. The catalogue is a live document, updated every six month to reflect new projects and publications.